1. Doctor Who missing episodes – With the new season of Doctor Who coming soon (! ), I thought it’d be a good opportunity to talk about this weird phenomenon that affects a lot of BBC programming from the 60s and 70s. Apparently, back in the day, the BBC had a “junking” policy that involved erasing or discarding episodes of series that had already aired. They did this to save tape space or to re-use tapes that had, in the mindset of that day, served their purpose. There was no sense of “archiving”, like we (rather obsessively) have now. Many shows were affected by this, and to this day there are huge chunks of television history missing because of it. Of the first six seasons of Doctor Who, 106 are gone for good due to this policy. Doctor Who benefits from a devoted fanbase, and this was true even in the early days. The great thing about this is that the 106 episodes did survive in audio form. The fans recorded the audio of the broadcasts when they aired. Fast-forward to a time when technology became a little more advanced, and we have a world where all of the missing episodes have been reconstructed to the best of the fan’s abilities. Some of the reconstructions are animated, some feature stills and recovered video segments of parts of the episodes, but the overall continuity of the series remains intact and accessible to the rest of the world. This is pretty remarkable, if you ask me. It really says a lot about fandom and devotion, and also ingenuity. 2. 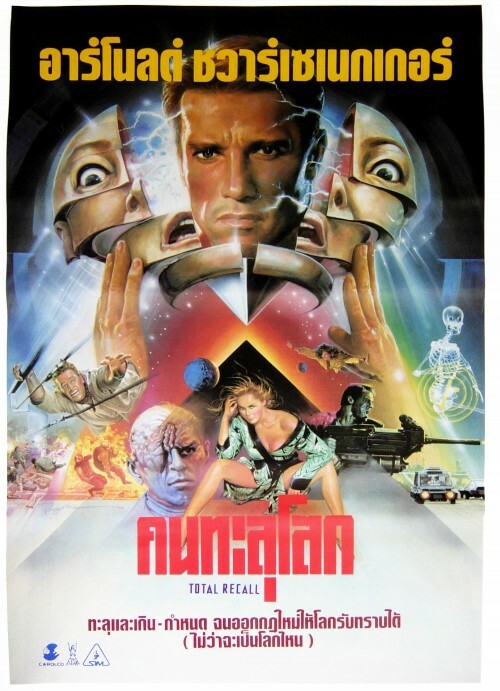 Thai Total Recall poster – Continuing my love for Total Recall (the original, still haven’t seen the remake) this week with an amazing poster for the Thailand release. Most ‘after the fact’ posters for movies are pretty abysmal, but this one is absolutely fantastic. 3. Going Places – I was a TGIF guy. There’s not a single thing about that statement that I’m not ashamed of, but in the late 80’s and early 90’s the Friday Night TGIF block on ABC was something I couldn’t tear myself away from. Even at the time, I knew these shows were hokey and ridiculous. They were way too wholesome and the comedy in them felt really, really forced. Imagine my surprise when I found out that a show called Going Places aired in TGIF in the Fall 1990 season. This was well within the window of when I watched this block, yet I have no memory of it at all! Going Places was a short lived series, about a bunch of comedy writers living in a mansion in LA, working on a comedy show in hopes that they would “Go Places”. The show was quickly scrapped in favor of a series titled “Baby Talk”, despite “Going Places” attempts to stoke the audiences passion with their own Urkel character. Going Places joined Just the Ten of Us, Sledge Hammer!, and Teen Angel in the TGIF graveyard. Here’s the intro. Hey, there’s Cameron from Ferris Bueller! 4. 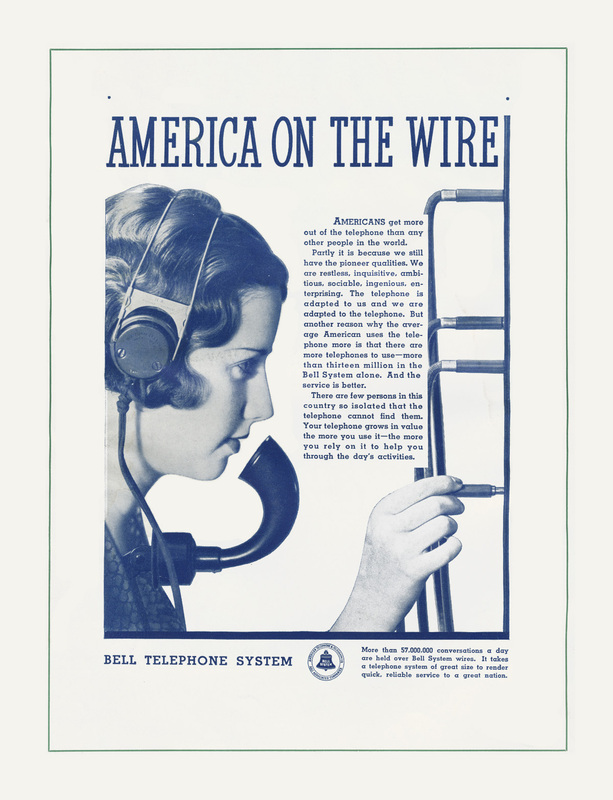 Bell Ad – Here’s a great Bell Telephone System ad from 1934 patting America on the back for owning telephone technology and making the best use of it out of anyone in the world! I love the layout of this ad so much. 5. The Laser; A Light Fantastic – Here’s a 1967 documentary on lasers, produced by CBS News. The graphics, music, and way-too-serious tone really demand that you watch all 25 minutes of this video.